Along the border of Texas and New Mexico, in the Chihuahua desert just 2 hours north of Mexico, sits one of the most marvelous natural gems in the American Southwest: the Carlsbad Caverns. One of the most famed cave systems in the entire world, the Carlsbad Caverns are a UNESCO World Heritage Site and home to the “Big Cave”, what was once the largest natural underground chamber in the world. Visiting is always an adventure, whether you decide to go just to the Big Cave, take an off-trail hike with a ranger guide, or even go backcountry trekking through the Chihuahua desert. 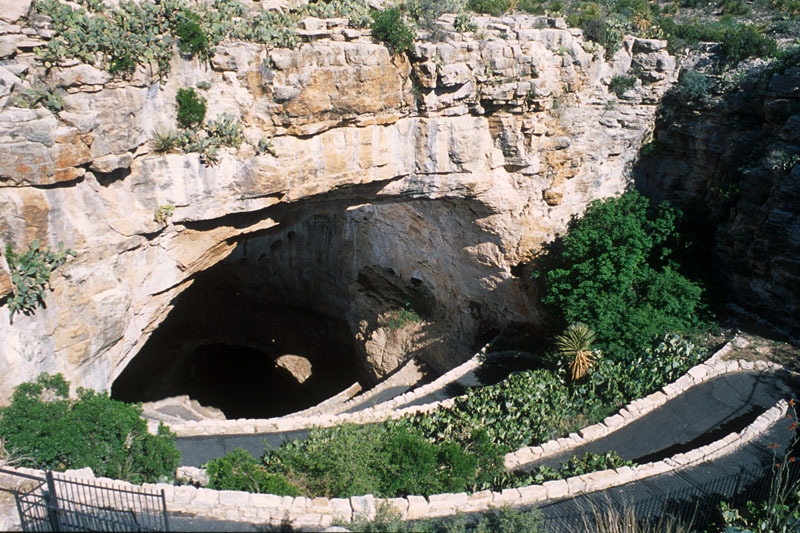 The Carlsbad Caverns National Park is just one of New Mexico’s many stunning sights. Called the Land of Enchantment, the state is undoubtedly one of the most beautiful in the nation to drive through. Going on an RV road trip in New Mexico will take you through open desert, massive canyons and red rocks, small arts towns, Native American reservations and Navajo Nation, Route 66, part of the Rocky Mountains and Great Plains, and even the Rio Grande. New Mexico is just as culturally interesting as it is scenic. Having belonged to Mexico until the 1840s, Spanish is still the official second language, and Mexican culture is deeply embedded into the region. The state also has some of the biggest Native American communities in the country, and visitors can drive through the beautiful Navajo Nation and stop at one of its many trading posts and reservation centers to purchase handmade goods such as pottery and Navajo weavings. You’ll also find many ruins in New Mexico from Native American tribes and even the Aztecs. The food in New Mexico is also a unique blend of Mexican, Navajo, and American Southwest cuisine. Blue corn, New Mexican chile peppers, and sopaipilla, a puffy fry bread are common staples in New Mexican dishes. In Navajo Nation, you’ll find frybread covered in in powdered sugar or honey, or used in a “Navajo taco”, which is covered with meat or beans, cheese, lettuce, and tomato. 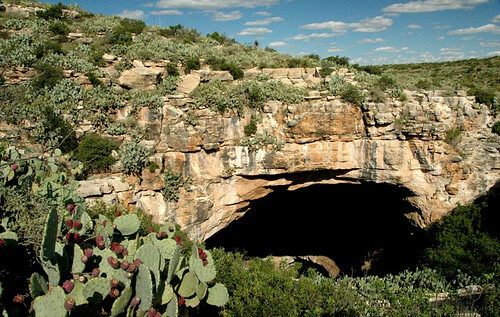 While visiting the Carlsbad Caverns with your RV rental in Carlsbad, NM, be sure to venture out and experience some of the rich culture and landscapes the state of New Mexico has to offer. Carlsbad Caverns National Park does not allow overnight RV camping, but there are plenty of campgrounds in nearby Carlsbad, New Mexico and beyond. We’ve put together this list of the best ones to help guide your trip. Just north of the town of Carlsbad and 40 minutes from the Carlsbad Caverns, Carlsbad KOA is one of the closest campgrounds to the National Park. It’s also in a very scenic area, right next to Brantley Lake and Brantley Lake State Park. Carlsbad KOA is right off of US Highway 285 near the Guadalupe Backcountry Byway. Because this KOA is outside of town, it’s a good quiet getaway. This family-friendly RV park is the perfect mix of remote and convenient. It’s outside of town in the beautiful Brantley Lake State Park, but it’s not far from the center of Carlsbad and the Carlsbad Caverns, as well as other New Mexico attractions. There are plenty of gas options just a few miles down the road, and the campgrounds have their own snack bar and meal delivery program as well as plenty of supplies. There are also lots of fun activities to keep the family entertained, like bike rentals, a heated pool, and a 2,000 square foot community room. Located right in the town of Carlsbad near the local airport, this RV park is convenient and just 15 minutes from the Carlsbad caverns. It’s about as close as you can get to the National Park. It’s just off Highway 62, where you’ll find multiple nearby dining and gas options as well as places to stock up on supplies. The scenic Guadalupe Mountain National Park is just 60 miles south from Carlsbad. If you want to maximize your time at Carlsbad Caverns National Park, this is as close as you’ll be able to stay in an RV. You’re also right in the town of Carlsbad itself which, while not a big attraction, has all the supplies and amenities you need. Sites here are nice and level with a picnic area. There is ample space for dogs and you’ll even find an on-site grocery store and gift shop. Across the Texas state line just 30 minutes south of Carlsbad Caverns, you’ll find Pine Springs Campground. It’s in Guadalupe Mountains National Park, so it’s the perfect spot for RV travelers who want to spend their trip soaking up the incredible natural beauty of the American Southwest and cross off multiple national parks in one trip. Although remote, the surrounding area is incredibly scenic and filled with outdoor recreation. This National Park Service campground is located in the Guadalupe Mountains National Park, a West Texas favorite with brilliant white salt dunes, fossilized mountains, grassland filled with wildlife, and Guadalupe Peak, the highest point in Texas. 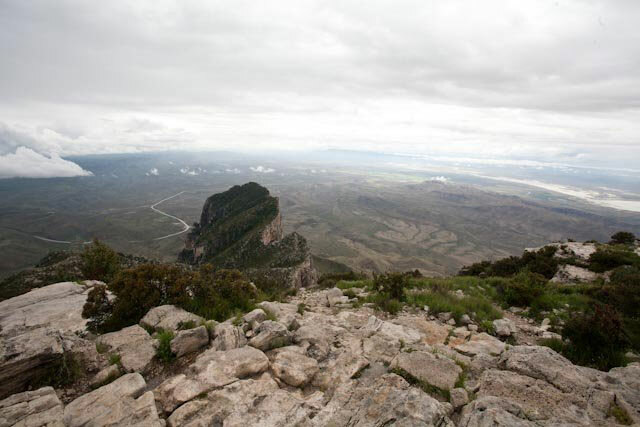 The desert camping area is right at the base of the mountain at the trailhead for Guadalupe Peak, and visitors will enjoy scenic daytime views and incredible night skies during their stay. While camping is very basic and you should come prepared, this campground is a beautiful way to experience the Chihuahua desert in all of its wilderness. Between Artesia and Carlsbad, you’ll find this Chihuahuan desert oasis in Lakewood, New Mexico. It’s about 45 minutes north of the Carlsbad Caverns off of U.S. Highway 285. The area is remote and scenic, near Brantley Lake State Park and just 14 miles from Artesia. Fort Sumner, the Billy the Kid Museum, and Roswell’s UFO Museum are not far either. This unique co-op park in Lakewood, New Mexico is peaceful, welcoming, and historic. It’s a co-op resort belonging to the Escapees RV Club (members get a steep discount) and has been called the most friendly park in the club’s system. It’s a simple but beautiful New Mexico retreat in the desert, and visitors can enjoy relaxing sunny days on the porch chatting with other guests or participating in one of the many activities going on. From Thanksgiving dinners to chili cookoffs to horse races and even a spring fling, there are always fun community events going on. Located an hour north of Carlsbad Caverns National Park in the town of Artesia, this park offers immediate access to all amenities. In Artesia, you’ll find plenty of restaurants and gas stations as well as a Wal-Mart and other place to pick up supplies. At the same time, you’re just off U.S. Highway 285, which will take you straight to Carlsbad and the Carlsbad Caverns. One of the most highly-reviewed parks near the Carlsbad Caverns, this campground is known for its friendly and helpful owners and great customer service as well as its convenient location. The park is clean, well-maintained, and quiet, the restrooms spotless, and the wifi fast and reliable. They offer fantastic amenities as compared to other RV parks in the area, although they are a little more expensive. Located in White’s City at the intersection of National Parks Highway and Carlsbad Cavern Highway, this RV park is as close as you can get to the Carlsbad Caverns. It sits directly outside of the entrance to the National Park, so you can even walk to it. It’s a 4 mile hike to the visitor’s center. White’s City itself is a small town, but it has everything you could need, including supply stores and restaurants. This RV park is very small and somewhat minimal, but it can’t be topped in terms of convenience. It’s the only RV park at the entrance of the Carlsbad Caverns National Park. Check-in is quick and easy. If you want to combine your trip to the Carlsbad Caverns with a trip to the infamous Roswell, New Mexico, a town that is home to a suspected “alien crash site” but also many other lovely attractions, the Red Barn RV Park is a great place to stay. Located right in Roswell, it’s just minutes from the crash site and the UFO Museum and Research Center, and under 2 hours from the Carlsbad Caverns. This friendly, welcoming RV park is small and cozy, and its owners do a great job of creating a community atmosphere. Despite its small size, the park has everything you need in terms of amenities. It’s one of the best RV parks in Roswell, and it’s close enough to do a day trip to the Carlsbad Caverns as well as many other destinations in New Mexico. In the middle of Harry McAdams Park you’ll find this charming campground, on the edge of Hobbs, New Mexico. You’ll find a Wal-Mart Supercenter just down the road and plenty of dining and shopping within Hobbs. Hobbs is an hour east of Carlsbad and just an hour and a half from the entrance to the Carlsbad Caverns National Park. This campground and park is beautiful, scenic, and peaceful. It’s small and quiet, and sites are paved and spacious. You’ll find a playground, a disc golf course, a park, and even fishing ponds on-site, and there’s a nice golf course right next door. The green landscape of the campground and park provide a lovely oasis in the middle of the New Mexico desert. You’ll find Cowboy’s RV Park on the outskirts of the town of Hobbs, just down the street from a number of restaurants, shops, and a Pilot Travel Center. It’s minutes from the local casino and horse track and right on the edge of the Texas state line. The RV park is only 90 minutes from the Carlsbad Caverns National Park and a great midway option for people coming from Lubbock or Odessa, Texas. This small RV park has a great community feel to it thanks to its owners and staff. Everything is impeccably clean and incredibly well-maintained, and checking in is always fast and easy. It’s conveniently located right off the highway, yet road noise is not an issue. The RV park remains quiet and calm, and the RV sites are concrete and private and the roads are paved. A gated and controlled entrance keeps the park safe and secure. 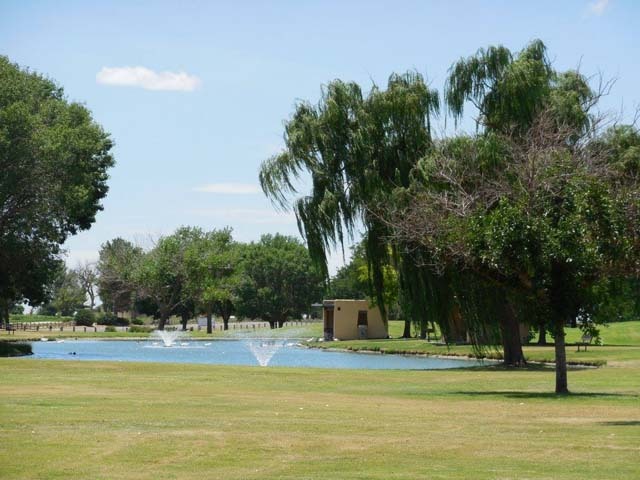 This family-friendly RV park in Carlsbad, New Mexico is nestled right along the Pecos River, just downstream from the Playground on the Pecos and across from Lake Carlsbad Beach Park. You can walk to the center of Carlsbad from here as well as a number of restaurants, grocery stores, shops, and even the Carlsbad Museum and Art Center. It’s also just 25 minutes from the entrance to the Carlsbad Caverns National Park. If you’re looking for a good location, you can’t beat the Pecos River RV Park in Carlsbad, New Mexico. It’s the perfect combination of the convenience of being located within walking distance of a town center and plenty of amenities while still being just a short drive from natural attractions and wilderness. The RV park itself is located next to a playground and right on a river with fantastic fishing, so there are still plenty of outdoor activities to partake in where you’re staying. New Mexico is a beautiful state filled with culture, art, history, cuisine, and stunning natural landscapes. Traveling through the Land of Enchantment with an RV is definitely the ideal way to see all it has to offer. 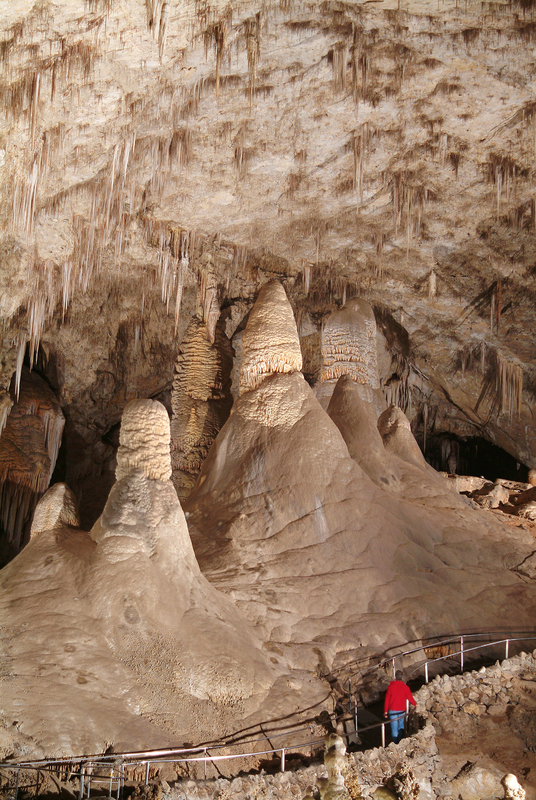 The Carlsbad Caverns are at the top of the list of attractions in New Mexico if not the entire country. Of course, there’s plenty more to add to your trip if you’d like to extend it. All of the campgrounds on this list are near Roswell, as well, infamous for a supposed alien crash site and home to the International UFO Museum. The Mescalero Reservation and El Paso, Texas, on the border of Mexico, are within a day’s drive, and Albuquerque, the state’s capital, is a bit farther but well worth the travel. Whether you decide to camp in the middle of Carlsbad, right at the entrance to the caverns, or a couple hours away in Roswell, it’s hard to find a place in New Mexico that isn’t relaxing and enjoyable.